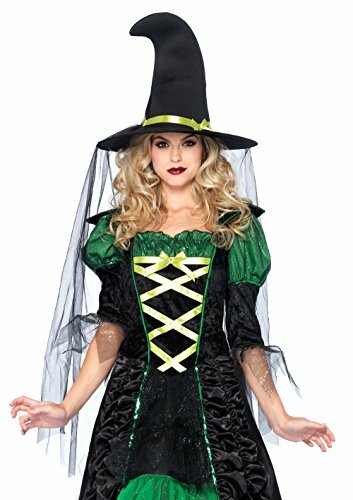 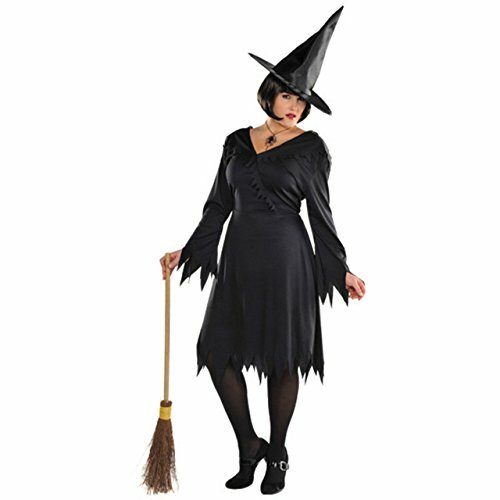 Become a storybook favorite in a classic witch costume. 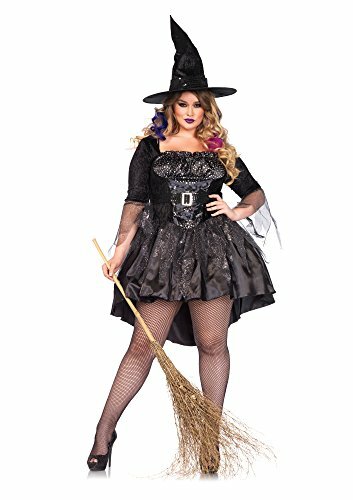 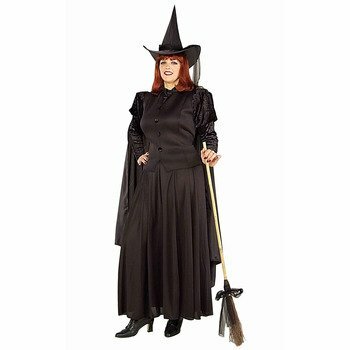 This affordable classic witch costume features a tie-back Black dress with sawtooth hem and sleeves. 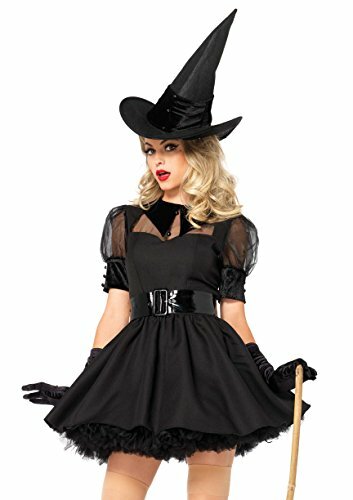 Witch hat and broom sold separately. 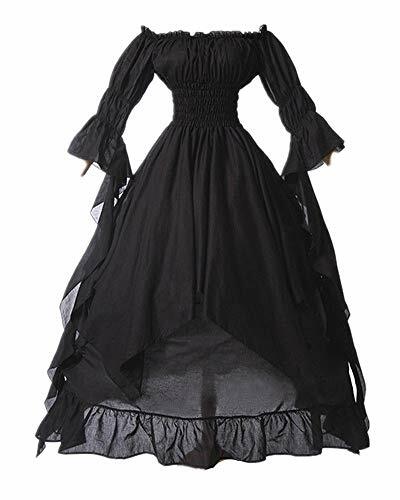 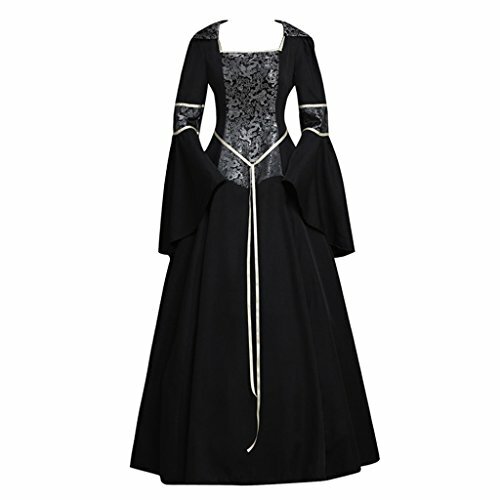 Material: Polyester Occasions:renaissance festival,wedding, halloween party, masquerade party, pirate costume, cosplay or other occasions Size chart: S Bust: 126cm Waist: 60cm Sleeve length: 43cm Dress length: 135cm M Bust: 130cm Waist: 64cm Sleeve length: 44cm Dress length: 136cm L Bust: 134cm Waist: 68cm Sleeve length: 45cm Dress length: 137cm XL Bust: 138cm Waist: 72cm Sleeve length: 46cm Dress length: 138cm 2XL Bust: 144cm Waist: 78cm Sleeve length: 47cm Dress length: 139cm 3XL Bust: 150cm Waist: 84cm Sleeve length: 48cm Dress length: 140cm 4XL Bust: 156cm Waist: 90cm Sleeve length: 49cm Dress length: 141cm 5XL Bust: 162cm Waist: 96cm Sleeve length: 50cm Dress length: 142cm Size chart: S Bust: 49.6" Waist: 23.6" Sleeve length: 16.9" Dress length: 53.1" M Bust: 51.2" Waist: 25.2" Sleeve length: 17.3" Dress length: 53.5" L Bust: 52.8" Waist: 26.8" Sleeve length: 17.7" Dress length: 53.9" XL Bust: 54.3" Waist: 28.3" Sleeve length: 18.1" Dress length: 54.3" 2XL Bust: 56.7" Waist: 30.7" Sleeve length: 18.5" Dress length: 54.7" 3XL Bust: 59.1" Waist: 33.1" Sleeve length: 18.9" Dress length: 55.1" 4XL Bust: 61.4" Waist: 35.4" Sleeve length: 19.3" Dress length: 55.5" 5XL Bust: 63.8" Waist: 37.8" Sleeve length: 19.7" Dress length: 55.9"